walodesign -- Your Doctor Says: Usable Applications Are Good for Your Health! Your Doctor Says: Usable Applications Are Good for Your Health! 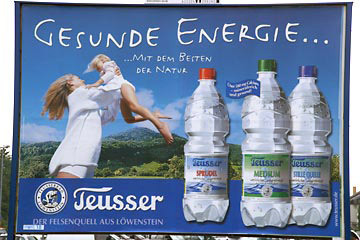 Each morning, when I ride my bicycle to work, I pass by a huge road sign advertising a mineral water brand. The poster promotes the water's mineral nutrients and trace elements as being beneficial to health. It is just one more piece of evidence that today's consumers no longer drink something because they are thirsty – they drink it because it boosts their health. This is not only true for drinking but for nutrition in general: We no longer eat food because it tastes good, we eat it because it is good for our health – or rather because some authorities tell us it is good for it. Nobody would deny that software influences our psyche, and most people would agree that is can also have an impact on our physical health. But the UI community hasn't made any noticeable efforts to make this connection more obvious to the public. First and foremost, most of us would think of situations in which users have to act under extreme time or psychological pressure, for example, when entering mass data or having to make serious decisions. But "normal" everyday work at the computer can also lead to stress and other forms of psychological strain and may eventually cause physical damage. 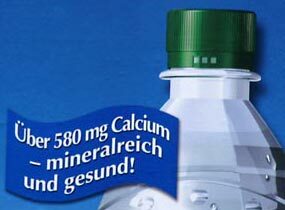 Figure: "More than 580 mg calcium – high in minerals and healthy!" Let's hope that it will be the software that we have developed or consulted and not the competition's that gets good ratings!